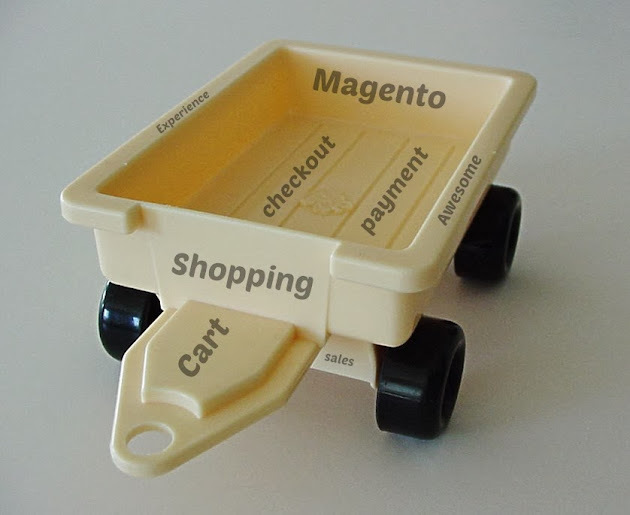 You own a great Magento store, thousands of people visit it every day and add items to the cart but for some reasons they don’t finish their purchases leaving abandoned carts. And you keep asking yourself: “Why does this happen?” The reasons can be many: one of the most important is the price. Users come to your website attracted by the advertised price and all of a sudden on the checkout stage they see that shipping costs are not included. Hidden cost is one of the most common reasons for cart abandonment. Among the reasons also come such explanations as “I was just browsing”, “Too expensive”, “Website navigation is too complicated”, “Process was taking too long”, users’ concerns about the payment security, unsuitable payment methods, unsuitable delivery options, etc. To help you prevent carts abandonment we’ve prepared a short list of simple but useful tips how to improve your conversion rates. Place small icons with short description for main selling features e.g. return policy, free shipping or customer service operating hours on your product pages as this is where buying decisions are made. These so-called ‘trust signals’ show your care about your customers and desire to make their shopping experience with you as safe and pleasant as possible. Take Advantages Of Social Login Options. Time is money. Saving customers’ time brings you money. Save your customers’ time by offering social login registration. It’s a win-win solution: user saves his/her precious time and you receive plenty of registered customers. You can choose the biggest social network – Facebook or try to cover as much as possible with login options from Google, Twitter, Pinterest, etc. Make Navigation On Site As Clear As Possible. Ensure a visually and intuitively clear interface: use credit cards logos and security seals, different colors for buttons (e.g. red for ‘cancel’ and green for ‘continue’). Transfer to checkout should be clear and available from each page. Avoid popups, as they tend to cause conflict with some browsers and antivirus software. One step checkout saves customer’s time by reducing the standard Magento checkout process to only one step. New users can create an account right during the checkout just by entering their login and password and checking the special box while the majority of the fields are automatically filled for the registered customers. You can also remove all the distractions like header, footer, links, etc. making a closed checkout. This will help customers to concentrate on completing a form. If some questions seem obvious to you it doesn’t mean that your customer feels the same. Prepare a FAQ section where customers can find answers to some important questions: warranty, shipping times, return policy etc. Save your time that might be spent on support routine and focus on key inquiries. Allowing customers to buy some products that are currently on backorder you won’t lose clients that already found you. Special signs and notes in Backorder extension will present information in a more convenient format indicating which products are available for backorder and when they can be delivered. During shopping your customer will have many questions and definitely will want to contact you directly via phone or email. Prominent contact details show that you’re not afraid to speak to customers and answer their questions. As customers like speaking to a real person – phone number is a huge advantage. Nowadays many developers offer different versions of live support chat extensions which is a great alternative to a regular phone call. Upselling and cross-selling will lift your sales. Offer complementary products, accessories or related products on the product page. Follow simple upselling rule: offered product should be at least 60% cheaper than the product in the customer’s cart. Remember about the closed checkout and don’t place them on checkout – this will distract customer from completing their purchase. Reward your customers for completing the purchase in your web store: offer free shipping or discounts/ coupons with second purchase etc. Satisfied customers will be glad to share their shopping experience among their friends, give an opportunity to the affiliate earning to encourage customers to advertise your shop. These are just the first and most important steps you can take to enhance conversion rate and increase percentage of visitors that make a purchase on your Magento store. These steps are not too hard or expensive to implement and the effect would lead to more sales and higher income. Even though the steps are clear, simple and initiative, many companies do not succeed. Yes, it’s hard to define what step works best for you and do it fast. To be successful an online-shop requires constant improvement and instant update, business owners who don’t want to change anything, make redesign and think that the work on their shop stops after the launch – are doomed to failure. You can also take a help of Magento extensions, which have a great features & help to add unique functionality in online store website. Mostly Magento Designing Company don't give their designed website extensions to client. Because that extensions are really needed at that time when client demands to do some changes in ecommerce website or need some improvement. These improvement tips really help the owner of website to do some changes with our own.